How Far is Arun Sheth Anika Mangalam? 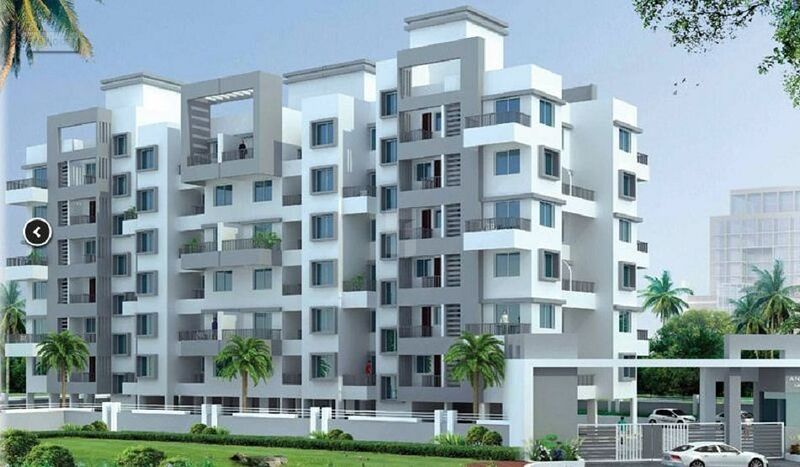 Anika Mangalam offers 1 & 2 BHK Apartments for the diseeming audience. Each apartment is built keeping in consideration the need of maximum amount of space and comfort. The apartments are well ventilated and well lit. We have made use of construction designs which guarantees ample fresh air and natural light to make your home an experience you want to keep coming back to. Earthquake resistant R.C.C frame structure External / Internal walls in brick /block work of 4"/6" thickness. Sand faced external plaster & gypsum finish internal plaster. Good quality acrylic /cement paint for exterior walls. Good quality oil bond distemper for internal walls. Granite top for platform with S.S sink. Designer dado tiles upto lintel level above kitchen platform. Provision for exhaust fans. Concealed plumbing. Chromium plated standard CP fittings. Hot & cold mixers for bathrooms. Provision for exhaust fans in toilets. Premium quality modular switches. Telephone points in living room & master bedroom. Point provision for A.C. in master bedroom. Miniature circuit breakers with distribution board for safety. Both side laminated entrance door with superior quality fixtures & fittings. Internal flush doors for bathrooms & bedrooms. One side laminated or one side PVC flush doors for toilets. Granite door frames for toilet and dry balcony. Powder coated aluminium windows with clear glass& mosquito net. M.S. safety grills for windows. Granite sill for all windows. Lifts with generator or power back up. Decorative Entrance lobby. Generator/power back up for common areas & Water pumps. Common toilet in stilt. Mr. Arun Sheth had a positive aspiration and a strong will to form a full scale construction company since his early years, that is how the Arun Sheth & Co. was born in the year of 1981. Initially he started with small projects, the motive was to live upto expectations of a common man to deliver & craft his own Dream Home, with perseverence, High standards in Quality Construction work, Timely Delivery, Highly professional Engineers & other staff . In few years the company steadily grown to professional managed Construction House. The company always strived hard to strengthened the pillars of professionalism, Constantly adding new techniques, systems, practices to set new goals. thus adding sheer growth year on year, increasing Arun Sheth & Cos profitability and credibility every year. Arun Sheth & Co always focussed on building true relations, till the time company has complated more than 3 Million SQ.FT. of Construction in Residential / Commercial sector right from constructing individual construction projects to Townships & Commercial spaces. The Company is well known for their commitment - Timely Pocession - Transperency in Transaction - Business ethics - Reliability & Honesty and strongly belive in catering customers with every best possible way. In this path a strong business bonding & relationships are build and support has come right from Structural Engineers to Architects, Legal and Financial consultants, bankers, suppliers to Government & semi-Govt.agencies. Our Circle is expanding truly growing with the most valuable support & suggestions from our ultimate customers. Arun Sheth & Co. is pledged & Commited to deliver the best residential / commercial / corporate spaces in near future to cater your need.